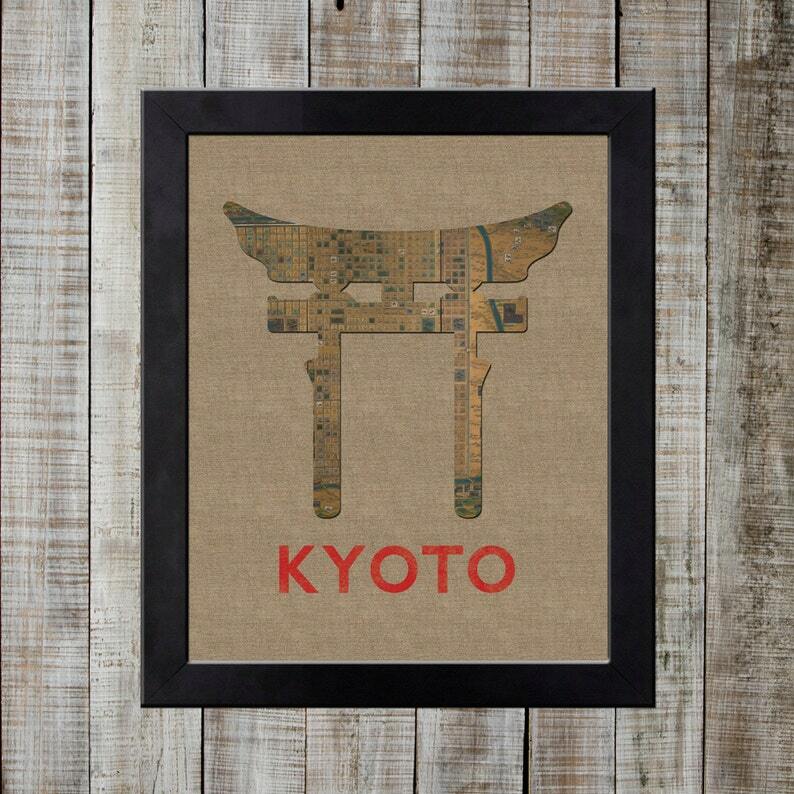 This beautiful line of prints represents some of the most cherished world landmarks, with a quirky twist. Resembling paper on a canvas background, each of these prints look as if a map has been cut out in the shape of the landmark. A closer look shows that each is made from a vintage map where each landmark originates. This design includes Kyoto's recognizable and revered gate, marking a shrine vistor's transition from a profane space to a sacred one. It is created from a hand-painted ancient map of Kyoto. Can you find any shrines on there? You'll note that this print doesn't have the same wrinkled effect as most of the other designs. This is because the original map was too beautiful to obscure. London, England World Landmark Print - Big Ben and Parliament NEW! Agra, India World Landmark Print - Taj Mahal NEW!